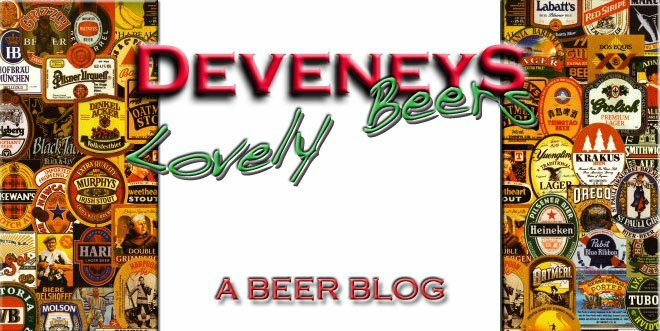 Deveneys of Dundrum: Sierra Nevada Tumbler 2010. We rarely do a Saturday tasting but due to the apparent match - All Black vs. Ireland, it left us a little stuck for customers. A tumble weed afternoon led us to Sierra Nevada Tumbler... Fitted right in with the afternoon atmosphere. It pours a ginger-ale colour with a thin white head. This Autumn brown ale actually both smells and tastes of Autumn. The nose has a distinct earthiness - soil and grassy notes, a little bit of coffee and some Sunday roast beef. The palate tastes like coffee and cream with a bonfire smokiness and a hint of sweetness on the finish. We tasted and all liked it, despite my pre-conceived ideas. Just in the door and available on a 4 for €10 special. Labels: Sierra Nevada Tumbler 2010.